AURORA, ON – A new cider from a husband and wife team with backgrounds in beverage marketing and agriculture will be hitting the market in Ontario later this month. Ernest Cider is being launched by Michelle and Steve Faris – she a former marketing executive in the beer and beverage industry, and he the holder of a BSc and MBA in Agriculture with a long family history of farming. The secret seven-apple blend is delicately sweetened with local wildflower honey and a touch of organic cane sugar for a dry, complex flavour. A new take on cider, made in the old world tradition, Ernest Cider contains undiluted, fresh-pressed apple juice slowly fermented for months with very little intervention. The final product has an alcohol content of 6.4 per cent and has two to three times less sugar than the mass-produced domestic or imported cider. You can’t have cider without bees, or much else. Bee pollination of agricultural crops accounts for one third of our diet and is critical to farming and sustaining our food source. 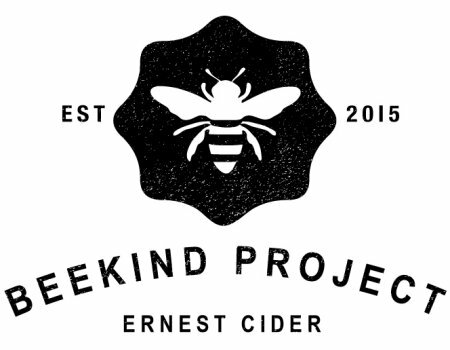 Ernest Cider’s BeeKind Project supports bee health in three ways. It partners with organizations to support bee health; raises awareness of the bee issues in Ontario and how to help; and supports a local beekeeper by using 100% pure local honey in all its cider products. Additionally one-third of proceeds from the sale of branded Ernest Cider products, t-shirts, glasses and more, will be used to help fund bee research in Ontario. The merchandise hangtags contain wildflower seeds and can be planted. Wildflower gardens are a simple way to support bee health at home. 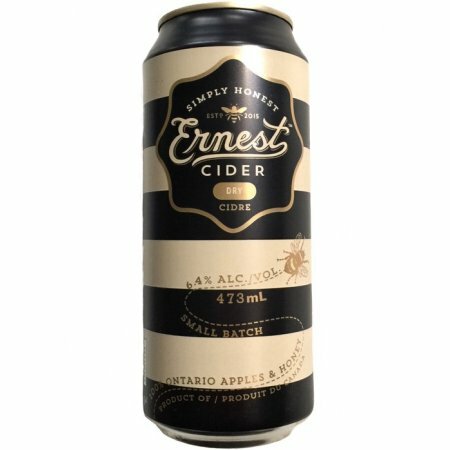 Ernest Cider Dry will be available in late May at LCBO locations, retailing for $3.25 per 473 ml can, as well as at select bars and restaurants in the Greater Toronto Area.